(RxWiki News) The FDA recently fast-tracked a promising new treatment for pancreatic cancer. And today, the agency approved that treatment. 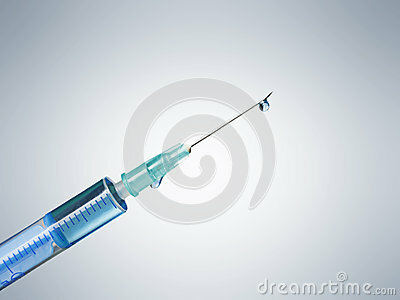 The new drug is called Onivyde (irinotecan liposome injection). The US Food and Drug Administration (FDA) approved it — in combination with the existing cancer drugs fluorouracil and leucovorin — for use in patients with advanced pancreatic cancer. "Advanced" pancreatic cancer is metastatic, which means it has spread from its starting point, the pancreas, to other parts of the body. "Pancreatic cancer can be difficult to diagnose early and treatment options are limited, especially when the disease has spread to other parts of the body (metastatic disease) and surgery to remove the tumor is not possible," according to an FDA press release. Because pancreatic cancer can be tough to treat in its more advanced stages, FDA officials noted a need to grant Priority Review status to Onivyde to speed up the approval process and help patients have access to this drug sooner. Despite its faster review process, the Merrimack Pharmaceuticals, Inc., drug still had to undergo safety and effectiveness testing in clinical trials. In one study of 417 pancreatic cancer patients taking either Onivyde in combination with existing treatments or only existing treatments, patients taking Onivyde survived an average of 1.9 months longer than the group not taking the new drug. Also, the patients taking Onivyde saw a delay in cancer tumor growth of 3.1 months. For those taking only existing drugs, that figure was 1.5 months. Reported side effects of Onivyde included nausea, decreased appetite, fatigue and fever, among others. The new drug also comes with a boxed warning. This warning notes a risk of very low white blood cell count and severe diarrhea. Onivyde was only approved for use in combination with fluorouracil and leucovorin.